Designer fabric two seater sofas in a wide choice of colours and textures. Available direct from the factory on a lead time of four weeks. Comes with a five year factory guarantee. Ultra contemporary leather sofa design with the possibility of a two- tone look. 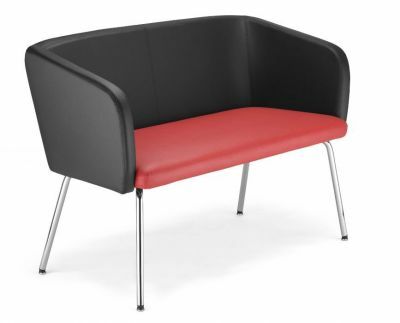 The sofa includes tubular legs in optional chrome or aluminium. This really is an up to date, ultra modern sofa. Great value for money and free UK delivery.